I aim to never read alone. I find that I draw so much more from a book when I read with the collective voices of other authors who have addressed the particular subject. I bounce the words I read off the thoughts I’ve gleaned before from these illustrious voices. I look for where they fit in the conversation. Often I find the voice I am reading to provide a missing element of the conversation. Sometimes it broadness the conversation to include new avenues the subject has yet to reach in my studies. Still, at other times, it narrows the conversation into intricate detail that is the needle and thread weaving the knowledge more securely to the big picture. There are also those writers whose handling of the subject seems to have missed the conversation altogether and yet the other voices come in to play in rebuttal. My favorite authors to read with are G.K. Chesterton, C.S. Lewis, Francis Schaeffer, Alister McGrath, and a great many others that have joined the conversation over the years. My bookshelves are bulging with their many voices. They span the spectrum of subjects. To name a few consider: John Locke, Charles Dickens, Niccolo Machiavelli, J.R.R Tolkein, Malcolm Muggeridge, Adam Smith, Henry David Thoreau, or newer voices like Ravi Zacharias, Rick Joyner, Bill Johnson, and Danny Silk. All of these have something to contribute to the big questions of life and the more I read the more connected their contributions become. The most important person I read with inspired the greatest book in the entire world. My best reading companion is the Holy Spirit. He is the master weaver that illuminates and brings to life the words I consume. He highlights important points and provides complimentary revelation pertinent to the topic. I’m often excited about things others cannot find in the book I am reading because I was reading with a different Author. I keep a notebook at hand with every book I read so that I can quickly transcribe an important quotation or notation from the book. This way I can return to it when reading another author or to utilize it when writing. I have filled several notebooks since I began this practice. I enjoy flipping through them and reminding myself of all the great voices waiting to be explored again. C.S. 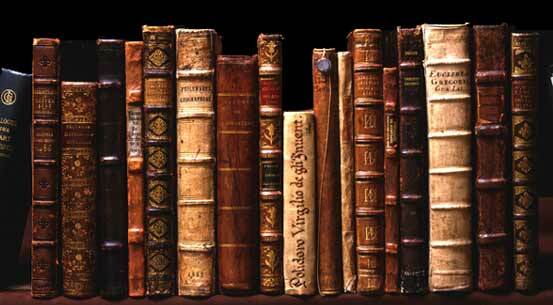 Lewis said that a good book ought to be honored with multiple readings. Each time is a new experience. He also advised that we read an old book for every new book so that we do not limit the conversation to our own era and the limited perspective of our own age. Reading is an adventure on which I embark with the many voices of other authors and with the One Voice of the Lord. If you want to try a fresh approach to reading, never read alone. Let me know how it goes. Thanks for the list of names you mentioned. I absolutely love CS Lewis and am readying to get into some GK Chesterton’s stuff so I’ll make a note of the authors you’ve mentioned here. Be sure to give me a pointer if you have any feelings on which books I should start with. Hi Micah. Thanks for your comment. A great book to start with for Chesterton is What’s Wrong with the World or Tremendous Trifles. These are short philosophical works of his. For his fictional works I recommend Manalive and The Father Brown stories to get started. He’s written so much. Sometimes I’ve encountered stuff that’s difficult to push through, but I keep reading as he has some real gems of truth in his books.